A southern white rhino has become pregnant through artificial insemination at the San Diego Zoo Safari Park — giving hope for efforts to save a subspecies of one of the world’s most recognizable animals. Scientists are watching to see if a rhino named Victoria can carry her calf to term over 16 to 18 months of gestation. Victoria is the first of the six female southern white rhinos at San Diego Zoo to become pregnant. The Institute for Conservation Research is testing to determine if they are fit to be surrogate mothers. If they pass the testing, they could carry northern white rhino embryos sometime within the next decade as scientists work to re-create northern white rhino embryos. 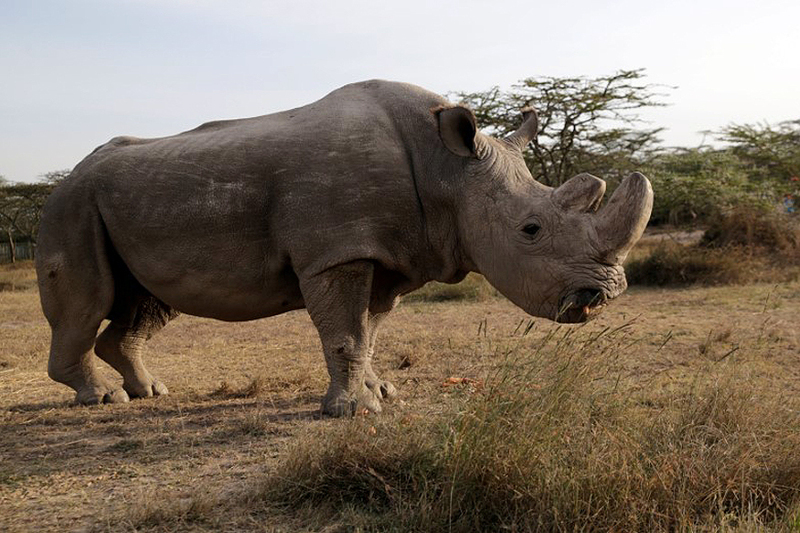 Scientists hope to use frozen skin cells from dead northern white rhinos to transform them into stem cells and eventually sperm and eggs. Then the scientists would use in vitro fertilization to create embryos that would be put in the six female rhinos. Some groups have said in vitro fertilization is being developed too late to save the northern white rhino. They say efforts should focus on other critically endangered species with a better chance at survival.